American hams got their first look at the new Yaesu FT-897 at the 2002 Dayton Hamvention. It is the world's first multi-mode high-power base/mobile transceiver designed to fitted with internal batteries (optional) for portable use. The coverage is HF 160 to 10 meters plus 50/144/430 MHz VHF/UHF. 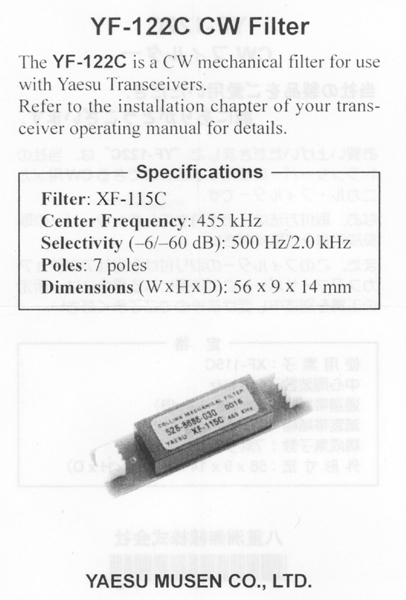 Receive is 0.1-56, 76-108, 118-164 and 420-470 MHz. 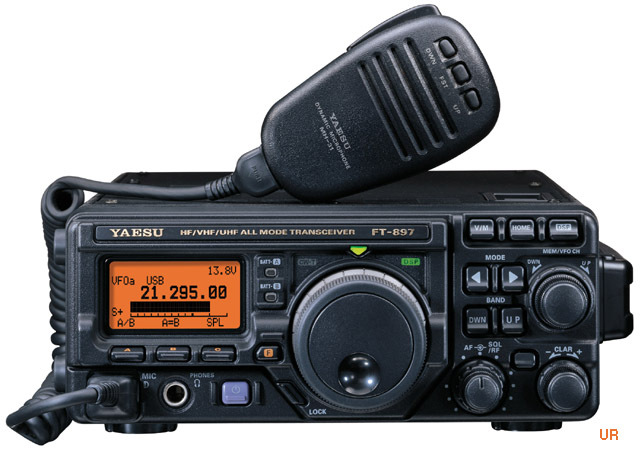 It is ideal for home, vacation, emergency, rescue, DX-pedition or VHF/UHF rover operation. With optional items the FT-897 system can be configured for mobile, base or portable use. The large multi-color display can be programmed to show different colors on each band, mode, memory group or event to track signal strength by color! There are two antenna connectors HF/50 and 144/430 MHz. 7.9 x 3.2 x 10.3 inches (200x80x263 mm). 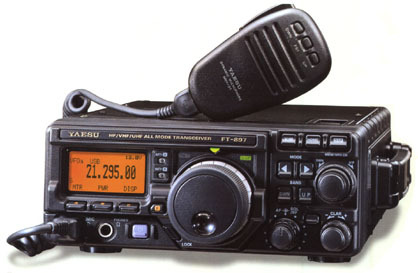 The FT-897 comes with a MH-31B8 hand mic and power cord. * TX Frequency Coverage: 160-10 Meters, 50 MHz, 144 MHz, 430-450 MHz, plus Alaska Emergency Chan. (5167.5 kHz). 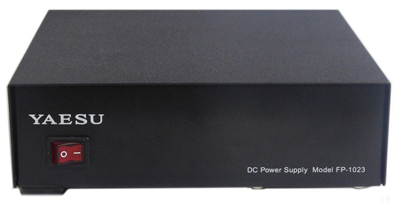 * Digital Modes: RTTY, PSK31-U, PSK31-L, and User defined USB/LSB (SSTV, Pactor, etc.). * Dual VFOs, Split Capability, IF Shift, and R.I.T. ("Clarifier").